John Howland was born in 1541. Joseph Howland was born in 1640. He was the son of John Howland and Elizabeth Tilley. Joseph Howland died in 1704. Lydia Howland married (?) Jenkins. Lydia Howland was born in 1665. She was the daughter of Joseph Howland. Lydia Howland died in 1739. (?) Jenkins married Lydia Howland, daughter of Joseph Howland. Prudence Jenkins married (?) Baker. Prudence Jenkins was born in 1709. She was the daughter of (?) Jenkins and Lydia Howland. Prudence Jenkins died in 1793. (?) Baker married Prudence Jenkins, daughter of (?) Jenkins and Lydia Howland. Married Name Her married name was Perkins. Bethia Baker married (?) Perkins. Bethia Baker was born in 1737. She was the daughter of (?) Baker and Prudence Jenkins. Bethia Baker died in 1820. (?) Perkins married Bethia Baker, daughter of (?) Baker and Prudence Jenkins. Dyer Perkins was born in 1753. He was the son of (?) Perkins and Bethia Baker. Dyer Perkins died in 1818. Elizabeth Rogers Perkins married (?) Humphrey. Elizabeth Rogers Perkins was born in 1808. She was the daughter of Dyer Perkins. Elizabeth Rogers Perkins died in 1859. (?) Humphrey married Elizabeth Rogers Perkins, daughter of Dyer Perkins. John Perkins Humphrey was born in 1838. He was the son of (?) Humphrey and Elizabeth Rogers Perkins. John Perkins Humphrey died in 1906. Married Name Her married name was Bogart. Maud Humphrey married Belmont DeForest Bogart, son of Adam Welty Bogart. Maud Humphrey was born in 1874. She was the daughter of John Perkins Humphrey. Maud Humphrey died in 1914. 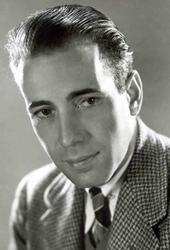 Belmont DeForest Bogart was the son of Adam Welty Bogart. Belmont DeForest Bogart married Maud Humphrey, daughter of John Perkins Humphrey. Humphrey Bogart was born in 1899. He was the son of Belmont DeForest Bogart and Maud Humphrey. Humphrey Bogart died in 1957. John de Vere was born in 1516. He was the son of John de Vere and Elizabeth Trussell. John de Vere married Margery Golding, daughter of Jonathon Golding, on 1 August 1548. John de Vere died in 1562. Married Name Her married name was Bertie. Mary de Vere married (?) Bertie. Mary de Vere was born in 1562. She was the daughter of John de Vere and Margery Golding. Mary de Vere died in 1624. (?) Bertie married Mary de Vere, daughter of John de Vere and Margery Golding. Robert Bertie was born in 1582. He was the son of (?) Bertie and Mary de Vere. Robert Bertie died in 1642. Montagu Bertie was born in 1608. He was the son of Robert Bertie. Montagu Bertie died in 1666. Robert Bertie was born in 1630. He was the son of Montagu Bertie. Robert Bertie died in 1701. Robert Bertie was born in 1660. Robert Bertie died in 1723. Vere Bertie was the son of Robert Bertie. Married Name Her married name was Hobart. Albinia Bertie married George Hobart. Albinia Bertie was born in 1738. She was the daughter of Vere Bertie. Albinia Bertie died in 1816. George Hobart married Albinia Bertie, daughter of Vere Bertie. Robert Hobart was born in 1760. He was the son of George Hobart and Albinia Bertie. Robert Hobart died in 1816. Politician. Robert Hobart, 4th Earl of Buckinghamshire, was elected Member of Parliament in 1788 and served as Colonial Secretary from 1801-1804. Hobart, Tasmania is named for him. 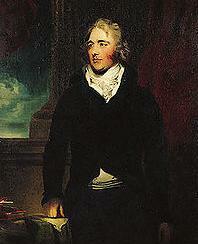 4th Earl of Buckinghamshire. Lord William Howard married Elizabeth Dacre, daughter of Thomas Dacre and Elizabeth Leyburne. Lord William Howard was born in 1563. He was the son of Thomas Howard and Margaret Audley. Lord William Howard died in 1640. Thomas Hayward was born in 1601. He was the son of Lord William Howard and Elizabeth Dacre. Thomas Hayward died in 1686. John Hayward was born in 1624. He was the son of Thomas Hayward. John Hayward died in 1705. Thomas Hayward was born in 1674. He was the son of John Hayward. Thomas Hayward died in 1741.